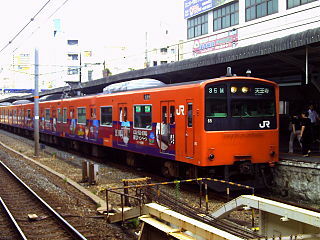 Conan Station is one of the station’s name in Japan. Conan station built by awarding an honorary degree to Aoyama Gosho. Aoyama Gosho is a comic writer with a popular manga series Detective Conan title. Before Conan station was inaugurated, it was named Yura station that has long operated. Anime News Network reports that on December 15, 2013 have been performed the ribbon cutting ceremony that included by famous manga author, namely Aouyama Gosho. Upon investigation, it turns dedication ceremony is done to change the name of the station became the title of one of the famous manga, namely Detective Conan. The beginning of the idea to name the station into Conan station is because this region is the birthplace of the famous comic writer, namely Aoyama Gosho. So this area became famous in Japan. Therefore, local residents pay tribute to Aoyama Gosho. In addition to functioning as a train station in general, Conan station also provides a variety of information about the area of tourism. To make it look different from other stations and in accordance with the name of the station, then at the station there is also a gift shop that sells a wide variety of books and souvenir with Detective Conan theme. In addition, the uniqueness of the other Conan Station replica signature are contained in the main exhibition of this manga, that is Conan Edogawa. If tourists are interested in visiting, Conan Station can be found in Hokuei, Tottori Prefecture.